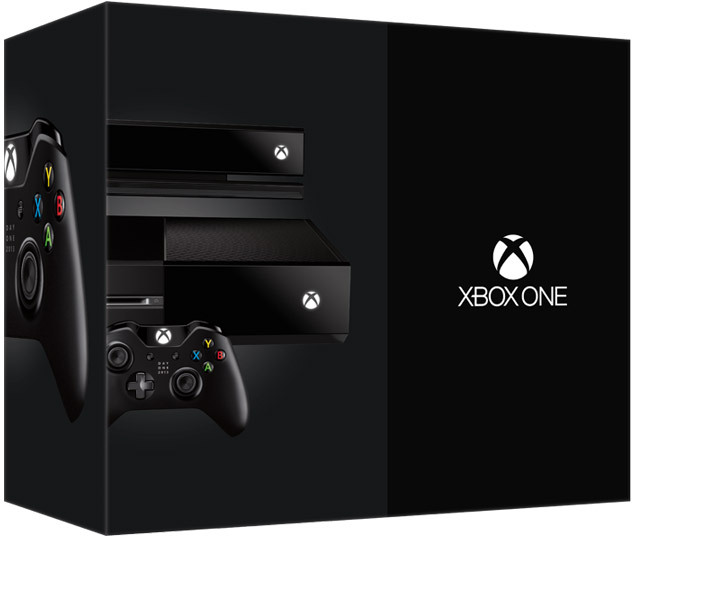 Xbox One 180 Policy Reversal! After much backlash from the community and during the thunderous cheers during the Sony E3 2013 press conference it only seemed like a matter of time. Giantbomb broke the news first (giantbomb article) and has since gone viral, crashing the site. Here’s a screenshot and excerpt from the website. “Multiple sources inform me Microsoft will announce what amounts to a complete reversal on its DRM policies for Xbox One today. Microsoft themselves has confirmed that policies have been updated. I’ll try and keep you all updated on the changes! 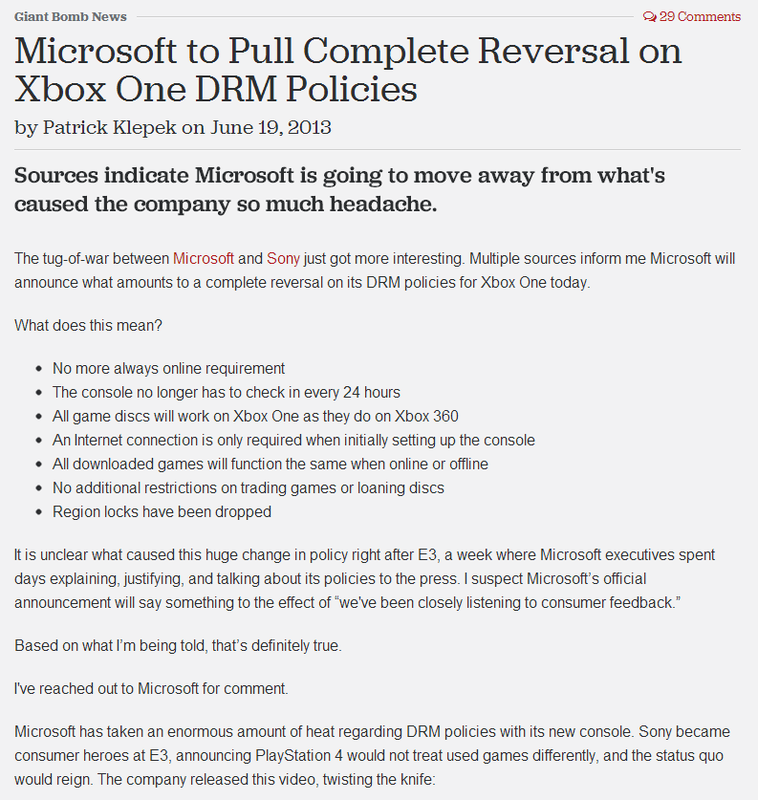 This entry was posted in Xbox One Articles and tagged gaming, microsoft, sony, video game news, Xbox One, Xbox One DRM, Xbox One DRM Reversal, Xbox One Policies, Xbox One Policy Update, Xbox One Policy Update June 19th 2013 by Chief Canuck. Bookmark the permalink.